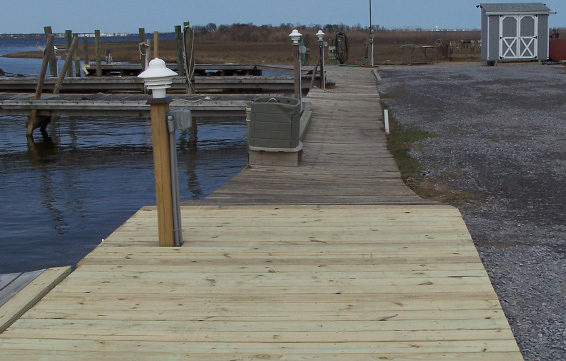 Docks with new benches repaired after Sandy. 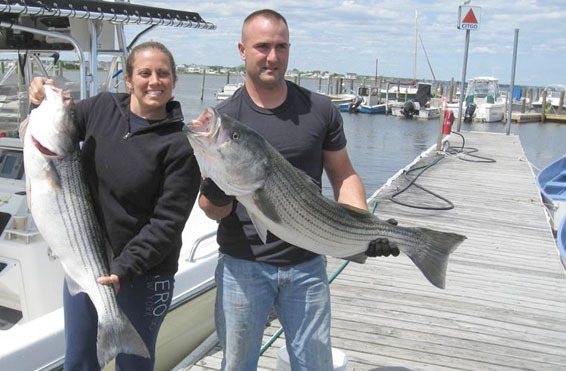 Bait & tackle store better than ever after Sandy. 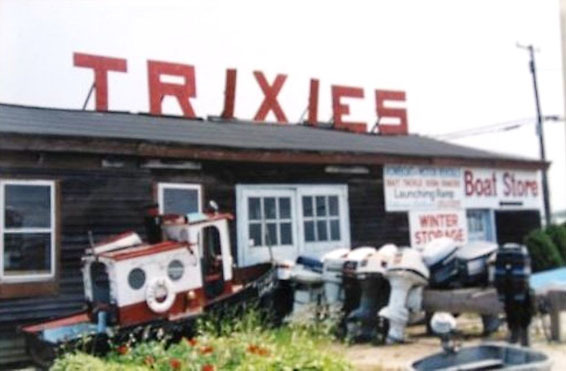 Trixie's fleet of rental boats for crabbing and fishing. 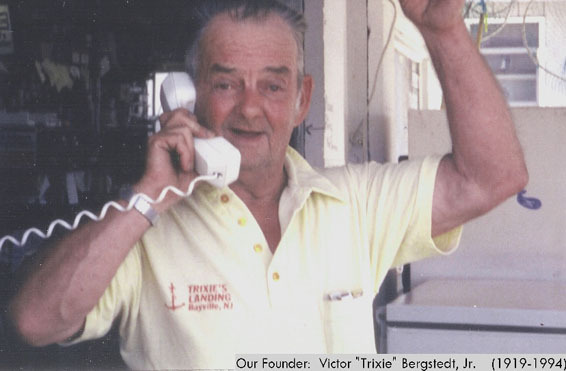 Trixie’s Landing and the Bergstedt family have been serving boaters on Barnegat Bay since 1948. 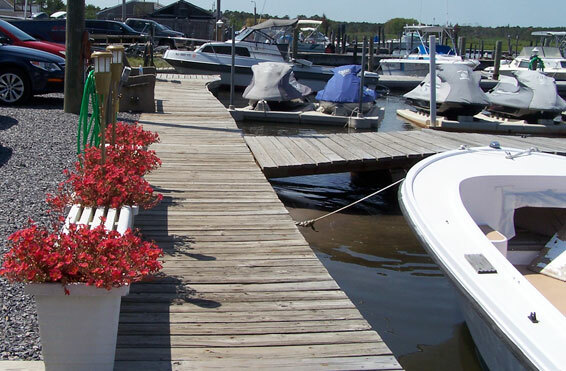 Our marina offers both wet and dry Dock Space, Winter Storage on land, a Cemented Launching Ramp and a Gas Dock. 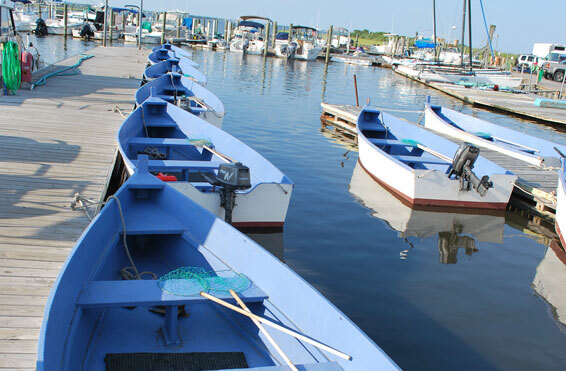 We rent boats for crabbing & fishing on the bay. 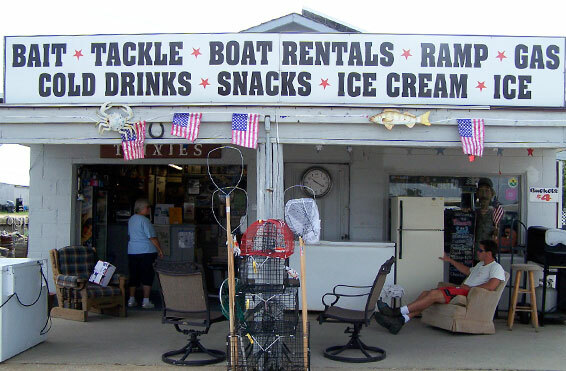 Our Bait and Tackle store has all the supplies needed for a day on the bay including ice, cold drinks, ice cream and snacks, fishing & crabbing baits, crab traps and fishing tackle. 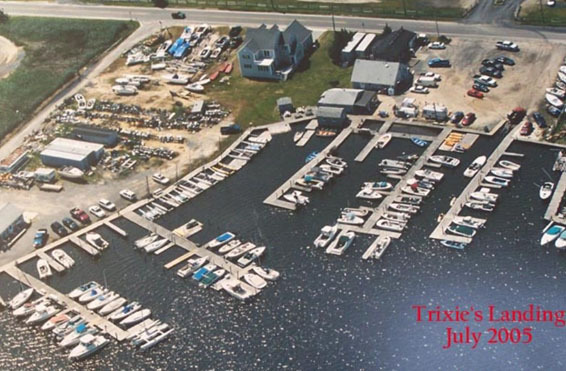 Superstorm Sandy hit us and the Jersey shore hard, but after working hard and Trixie’s is in better shape than before the storm with new docks, picnic area and much of the marina either replaced or upgraded. 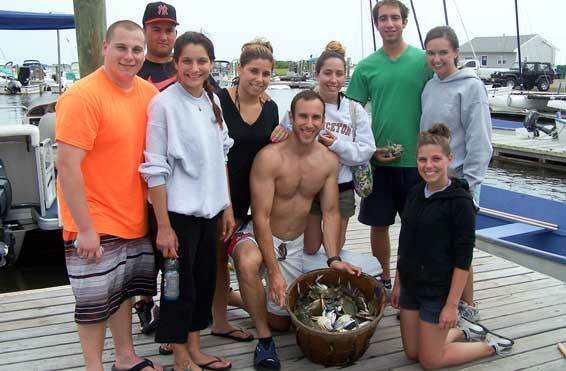 Of course, the storm and its aftermath were exciting, so we’ve compiled a photo gallery of Sandy and post Sandy pictures. We are open daily from April 1st to November 1st . Our hours vary with the seasons, but will always include 9am to 4:30pm. 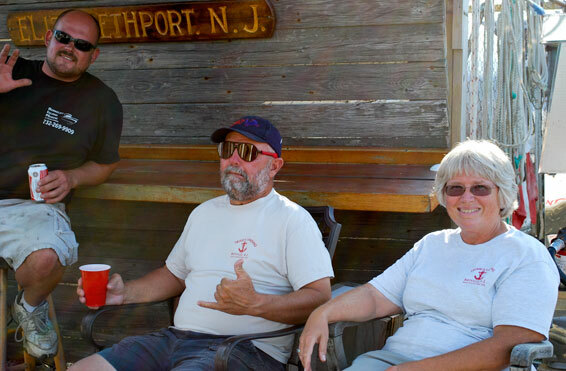 If you have any questions, please call or stop by and we will do our best to help you enjoy your boating experiences on Barnegat Bay.